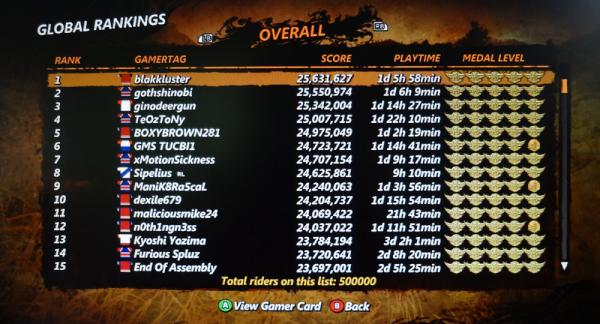 One of our favorite games this year, Trials Evolution has hit yet another major sales milestone. There are now over 500,000 players on the global leaderboards. This physics based dirt bike challenge has really struck a chord with XBLA gamers. Lots of great content is already pouring out for the game and RedLynx has promised more tracks to come as well. It looks like Trials is here to stay.